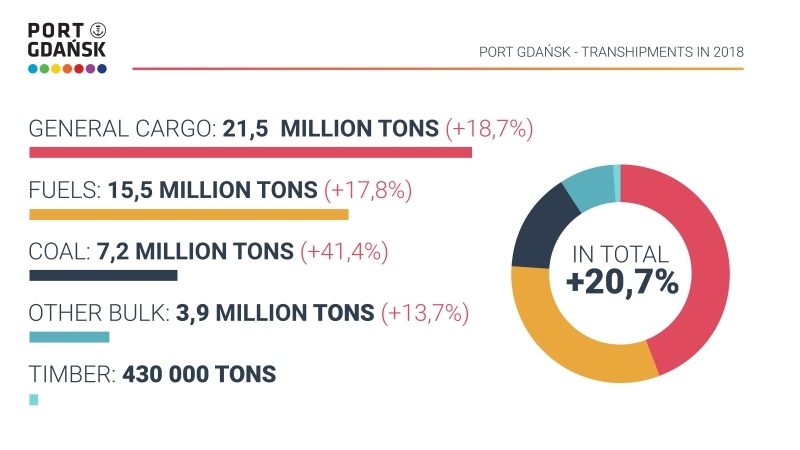 In 2018 the Port of Gdansk transhipped almost half of the goods that were transported through all Polish ports. Thanks to this it is getting closer and closer to the podium of the largest Baltic ports. 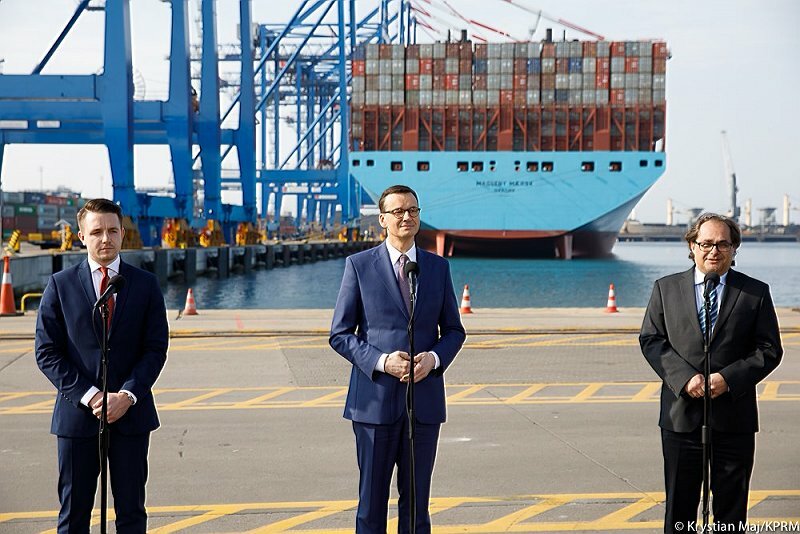 The Port of Gdansk Authority ended 2017 with a historic record: 40.6 million tons of goods were transhipped – previously no Polish port had exceeded this barrier. 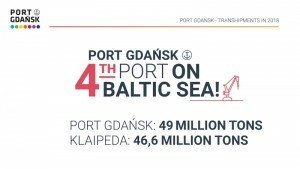 In 2018 Gdańsk broke its own record: more than 49 million tons passed through Gdańsk quays and terminals. An increase of 20.7 per cent is the highest growth dynamics on the Polish coast. – Last year, our contractors transhipped 9 million tonnes of goods more than in 2017. They did so not only using the old infrastructure, but also during the ongoing construction work on the whole Port territory. 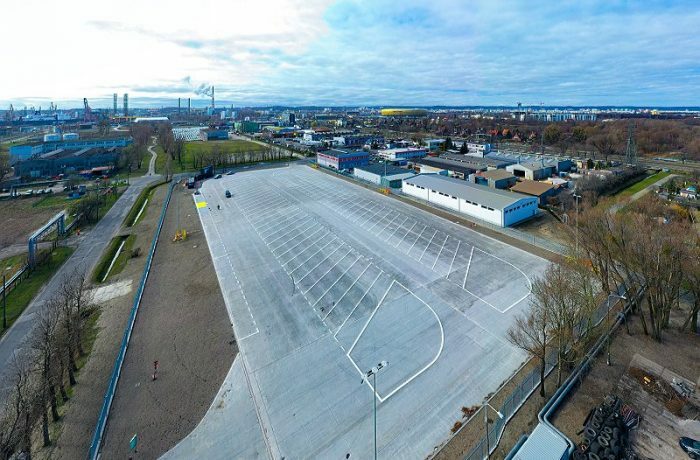 It’s a huge amount of complicated work, so congratulations are due first of all to our operators – says Lukasz Greinke, the President of the Port of Gdansk Authority. 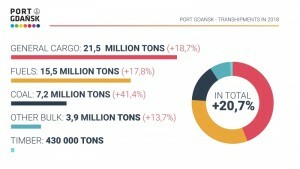 The final result of transhipments in the Port of Gdańsk is almost 17 percent higher than planned. The Port recorded particularly high growth in coal. 7.2 million tonnes of coal were transhipped, 41 percent more than last year. The result for general cargo increased by more than 18 percent – 21.5 million tonnes. – As for containers alone, almost 20 million tons were transhipped in the Port of Gdansk, which corresponds to annual growth of 21%. Last year, we transhipped approximately 87 thousand new commercial vehicles, 13 percent more than in 2017. Not only transhipments have been growing, but also the number of merchant ships entering the Port. “In 2018 we had 357 more arrivals than a year before,” explains Adam Klos, Sales Director at the Port of Gdansk Authority. 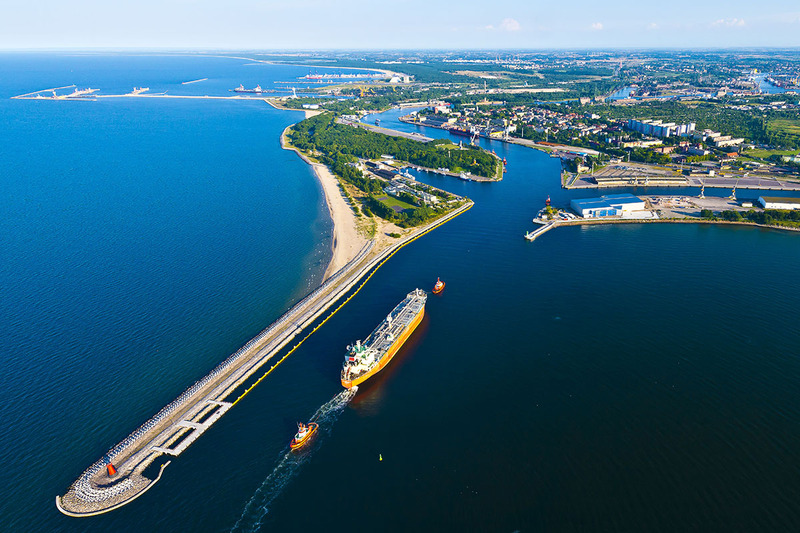 The Port of Gdansk recorded further increase in transhipments in fuels area. Last year, 18% more of them were transhipped – 15.5 million tonnes. The bulk cargo group (e.g. 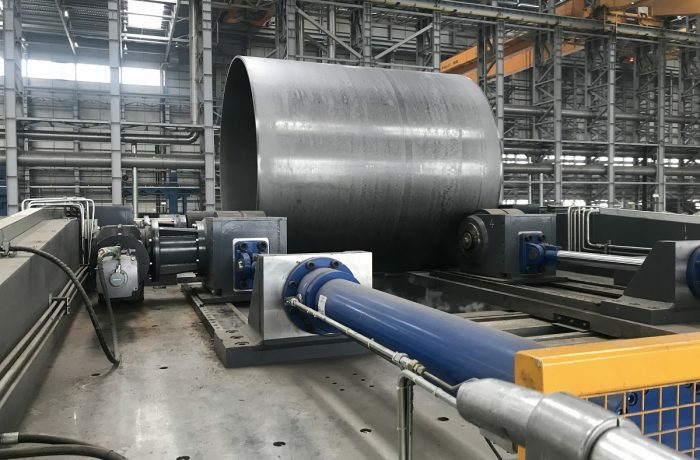 aggregates) closed the year with the result of 3.9 million tonnes, which means that it was almost 14% better than in 2017. As a result of such high dynamics and the amount of transhipped goods, the Port of Gdansk finally moved from 6th to 4th position on the list of the largest ports in the Baltic Sea, ahead of Klaipeda port. – Our goal for 2019 is to advance to the third position. Currently, it is occupied by Russian Primorsk, where over 53 million tonnes have been transhipped with a 7% drop in dynamics. I am convinced that with such an effort the Port of Gdansk will be on the podium next year – says Lukasz Greinke.